A warm and uplifting collection of Christmas and winter music and stories. Includes “A Child’s Christmas in Wales” and beloved carols performed by three harps and assorted rare acoustic instruments. 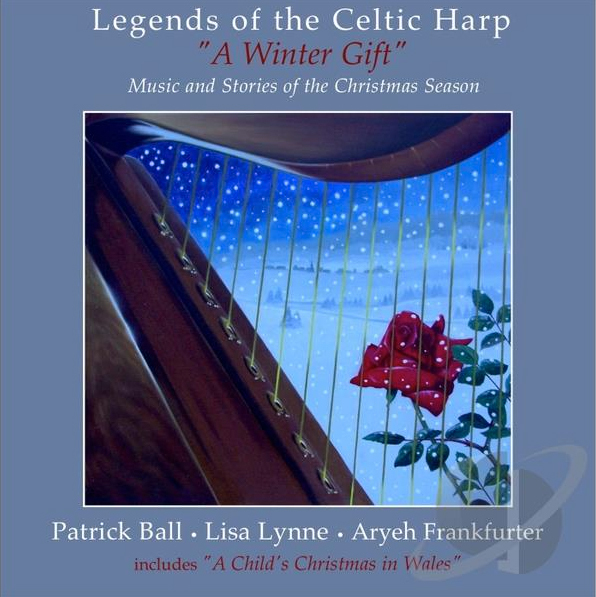 In the winter of 2011 Patrick Ball, Lisa Lynne and Aryeh Frankfurter created a concert entitled, “Legends of the Celtic Harp,” a dramatic musical journey into the myths, legends and history of this marvelous instrument. For three years we toured the show throughout the United States, including Alaska and Hawaii, and never grew tired of performing it. The sound of the harps, the mystical way they blended with the stories, and the response from our audiences always uplifted us, no matter how long the road had been that day. When it came time to create a second show, we immediately thought of Christmas. The music and stories of the winter holiday season offer that same beauty and enchantment that means so much to us. We chose these stories and these pieces of music because performing them brings us joy. We hope they do the same for you.